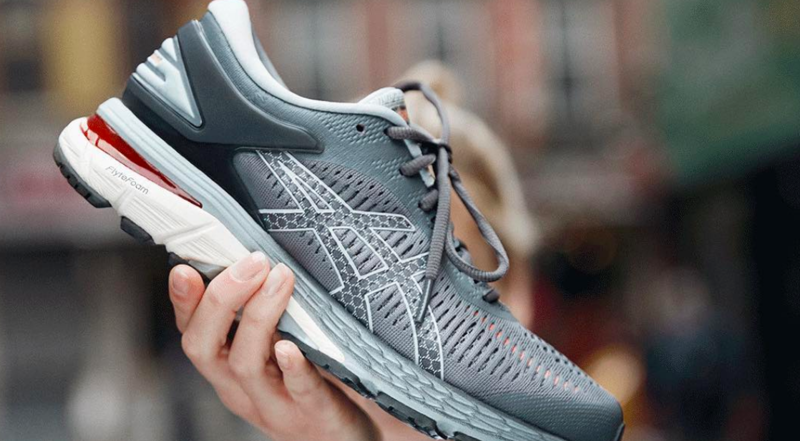 Asics North America appointed Kevin McHale as its new director of run specialty sales. In this role, McHale will manage the run specialty business. Asics also said it is unveiling a newly created Technical Representatives Program to provide rep coverage across the country. Another group of former Cabela’s Inc. employees has helped launch an e-commerce website offering outdoor and active lifestyle gear. Several avid outdoorsmen and women teamed up to form Nexgen Outfitters, based in Sidney, NE. Vail Resorts Inc. on Friday announced that it has entered into an agreement to purchase the ski fields at Falls Creek Alpine Resort and Hotham Alpine Resort in Victoria, Australia. The MLB Players Association (MLBPA) issued a statement on Thursday in support of workers at the soon-to-be-closed New Era plant in Derby, NY. New Era earlier this month reached an agreement with plant workers on comprehensive severance benefits ahead of the plant’s scheduled closure in March. Fitch Ratings downgraded Newell Brands Inc.‘s long-term issuer default rating to BB-plus from BBB-minus, lowering it to speculative-grade, or “junk” status, from investment grade. Amer Sports issued its annual report review for 2018 that showed Arc’teryx‘s sales grew 11 percent last year to drive growth across Softgoods, a strategic growth priority for the company. The Wall Street Journal reported that Kevin Plank, Under Armour‘s CEO, has been scrutinized by his board of directors for his personal relationship with MSNBC anchor Stephanie Ruhle and its impact on the company. PNC Bank N.A. announced the closing of a $140 million senior secured credit facility to support Maryland-based Ames Watson LLC’s acquisition of Lids Sports Group (LSG). Outdoor co-op REI is opening a new store in Birmingham, AL, in October. OC Sports on Thursday announced the promotion of Brad Reagan to national sales manager following Joe Rubertino’s retirement. Injinji, the sock specialist, expanded its e-commerce offering in North America to include a Canadian shipping option. Virginia Military Institute has extended its athletics apparel and footwear partnership with Under Armour. Baron Davis, the former NBA star, recently made an investment in Point 3 Basketball, the specialist in basketball uniforms and socks, and has become its creative director. PVH Corp. has entered into a definitive agreement to acquire Gazal Corporation Limited, its long term partner in Australia. Sturm, Ruger & Co. Inc. reported fourth-quarter diluted earnings per share of 69 cents, beating Wall Street’s targets by 12 cents. Revenue for the quarter was $121.1 million, missing estimates by $3 million. For the corresponding period in 2017, net sales were $118.2 million and diluted earnings were 59 cents per share. SportsEngine Inc., the country’s largest youth sports directory, is partnering with USA Hockey to promote participation in youth hockey across the United States during USA Hockey’s Hockey Week Across America. Foot Locker Inc. said its Board of Directors approved a $275 million capital expenditures program for 2019, compared to the approximately $200 million in 2018. The increased spending reflects increased investments in the company’s store fleet in all existing regions, including Asia, and in its digital initiatives. Marriott International and Manchester United on Wednesday announced a multi-year marketing partnership, giving the 120 million members of the Marriott Bonvoy travel program exclusive opportunities for Manchester United football experiences—including the chance to become the club’s Stadium Announcer or Kit Manager for the day. La Sportiva and Access Fund, two organizations dedicated to climbing, have once again teamed up for 2019. La Sportiva has supported the Access Fund for many years and its conservation teams since 2017. Arc’teryx continues to expand in Hong Kong with the recent opening of a new brand store. Already the brand’s third in Hong Kong, the store is located at the K11 shopping center, in the core area of Tsim Sha Tsui. USA Gymnastics announced that Li Li Leung has been appointed president and chief executive officer. About 3,000 Outdoor Gourmet Turkey Keg turkey fryers sold by Academy Sports + Outdoors store are being recalled. Altra is now the title sponsor of the Tobacco Road Half Marathon, which takes place on Sunday, March 17, 2019, in Cary, NC, along with the Tobacco Road Marathon. Hormel Foods Corp. said it has entered into a definitive agreement to sell its CytoSport business, which includes Muscle Milk, to PepsiCo Inc., the parent of Gatorade. Adidas is launching a line of fitness accessories in the United States. The offering of core fitness products includes categories such as training gear, yoga equipment, protective gear and more. Payless ShoeSource Inc. filed for voluntary Chapter 11 bankruptcy protection for the second time as it prepares to close all its North American stores by the end of May. Varsity Brands announced that its school pride event, the Varsity Brands School Spirit Awards, has named finalists for its 2019 School Spirit Awards. USA Swimming, the national governing body for the sport of swimming in the U.S., and Phillips 66, an energy manufacturing and logistics company, on Tuesday announced a multi-year partnership renewal. FlexIt—the mobile-app that allows users to only pay for the gym time they use—on Tuesday announced the introduction of its app across nine cities in South Florida. Vail Resorts Inc. on Tuesday announced a number of leadership changes to take place in its mountain division this spring, including Doug Lovell, vice president and COO of Vail Mountain, retiring from his position effective May 1, 2019. Elan Skis, the Slovenian-based ski manufacturer, on Tuesday announced the appointment of Jeff Mechura as the new president/CEO of Elan Sports USA, an independent subsidiary of Elan d.o.o., effective immediately. Iconix Brand Group Inc. has signed a new agreement with One Step Up to be the exclusive apparel and footwear licensee for the Pony brand in North America. 361 Degrees International Limited said it expects a “notable” decline in earnings before taxes in 2018 due to an expected loss for the second half due in part to the U.S./China trade dispute. A Colorado sports apparel and memorabilia store is closing following its move to stop selling Nike product as a protest against the brand’s embrace of Colin Kaepernick. JD Sports has purchased an 8 percent stake in Footasylum, which has 70 stores in the United Kingdom. New Era has signed on as the official apparel partner of Essendon Football Club‘s esports team. Grupo SBF, owner of the Brazil sporting goods chain Centauro, filed for an initial public offering on the São Paulo stock exchange. Snowsports Merchandising Corp. (SMC), a buying group of specialty ski and snowboard shops in the winter sports industry, on Monday announced that Mountain Capital Partners has joined the group. CrankTank on Monday announced that Mark Jordan is joining the Idaho-based consulting agency. Honey Stinger, the manufacturer of honey-based nutritional products, on Monday announced the appointment of Kelly Knowles as the company’s vice president of sales. Vail Resorts Inc. on Monday announced that the company’s pass partnership with Arapahoe Basin will end after the 2018-19 ski season. Lululemon said it will now offer its employees three to six months of paid parental leave. Eddie Lampert will step down as chairman of Sears Holdings Corp.‘s board, effective immediately, according to a regulatory filing. Macy’s Inc. announced that Patti Ongman has been named chief merchandising officer of the Macy’s brand, effective March 1, 2019. Lorna Jane, the Australian women’s activewear brand, is opening eight more stores in the U.S. to bring the brand’s store count to 38. Jon Epstein, president and global chief commercial officer of Fila North America, died on Friday, February 15. He was 63.